It is beautifully and artistically accomplished in a very professional manner. The points you make are very clearly organized, important, logical and should be of great benefit to pianists everywhere. This is the tape we have been waiting for; a perfectly lucid exposition of the necessary conditions for coordination and their application to piano playing, persuasively presented through a logically constructed programme. And always musical! Every piano teacher should buy it and beat a path to your door for the ‘hands on’ experience which you rightly point out is so necessary. Pianists…should view this video with an eye towards incorporating aspects of her ‘system’ into their own technical repertory, thus avoiding some of the pitfalls common to so many pianists. This video is a sensible addition to piano-method collections in music libraries, especially those at institutions that support piano performance and/or pedagogy programs. Barbara Lister-Sink offers an articulate, professionally produced video on the fundamentals of coordination, what athletes call basic form, that allows for hours of practice without injury. 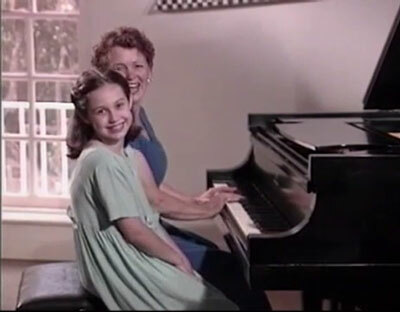 This extremely well-produced video provides a wealth of teaching material for pianists covering a wide range of repertoire beautifully played by Lister-Sink and her students…Lister-Sink is superb both as a player and [in] her ability to demonstrate the common technical faults of pianists…This video provides an impressive study guide for any pianist…I do not know the price but, considering the wealth of material and excellent performances from Lister-Sink and her students, it is sure to be worth every penny. A well-organized and comprehensive video for teachers of all students that is both easy and enjoyable to listen to. Excellent for students needing to work on technique, but the video does require the monitoring of a good teacher. A real asset to the field of piano pedagogy. Audience: pianists of all ages and levels, pedagogy and applied teachers. This splendidly produced method on video should be studied by all teachers and performers anxious to learn how to prevent injuries in their own playing as well as in working with their young pupils. 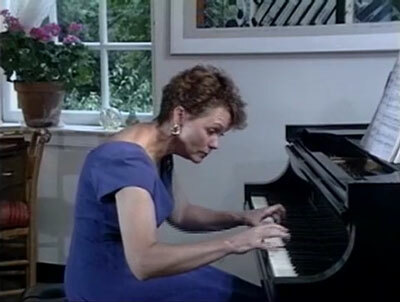 In a brilliantly conceived and produced videotape, Lister-Sink provides a thoughtful guide showing how to develop a piano technique that springs from good coordination of the whole body with the piano…she is abetted by brilliant production techniques. Keyboard playing-related injury prevention is the theme of this well-produced, highly informative video. Anatomy (both yours and the piano’s), tension avoidance, and a training program for optimal body position and usage are among the topics. 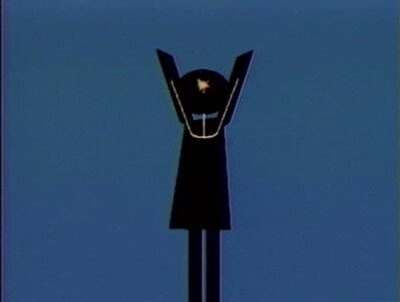 Plus, the clips of Ms. Lister-Sink performing are really impressive. 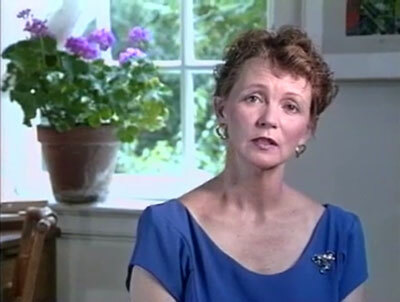 …outstanding, high-quality video presentation…For teachers and students attempting to lay the foundations of a trouble-free technique or performers seeking to find a way through various tension problems, there are many suggestions clearly presented in depth to consider and debate in the arc of interaction of piano and self. Lister-Sink’s arguments, detailed demonstrations, and playing throughout are persuasive and illuminating. 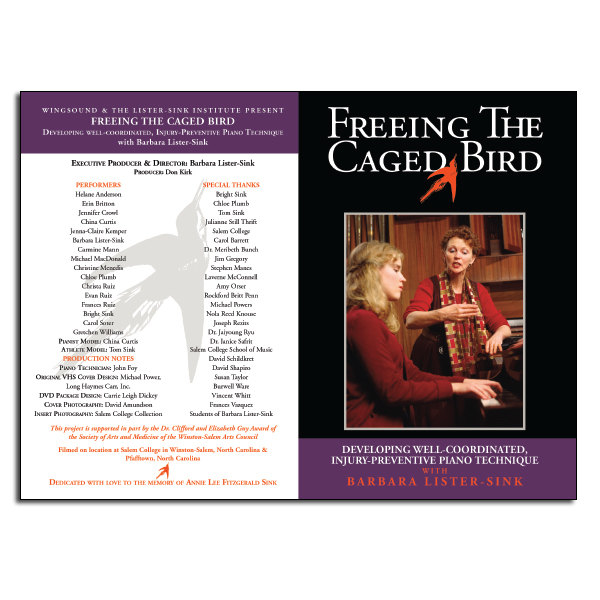 Many thanks for your…magnificent production, Freeing the Caged Bird. It takes such skill to produce an “educational” film that is as meaningful for the searching neophyte as it is to the experienced artist…Your step-by-step procedure in building a free, basic technique was timed perfectly. I personally gained a great deal from your film. My congratulations and deep appreciation for a remarkable project. Brava! Brava! The tape is wonderful and I’m so grateful for all your hard work in bringing it to pianists everywhere! It is exciting to find so much common sense and inspiring encouragement on one tape. You have done a great service to bring together a wealth of information and applications, and to make them clear and memorable. Your performances are outstanding, and those of your students are most compelling testimony to your program of study. Brava! My heartfelt congratulations to you on your splendid accomplishment. Master teacher and author, "Artistry at the Piano"
What you demonstrated had such an undeniable logic and integrity to it that I felt it should be part of every lexicon, piano pupil and teacher alike. The video is wonderful!! Not only is the information clear, abundant and inspiring, the presentation is beautiful. It is without qualification the clearest and most thorough presentation of those basic concepts I have every seen...Your offering of the video to our profession is an act of supreme generosity. All of us, your colleagues in the piano world, would surely benefit from personal work with you over a period of time...I predict the concepts you present will permeate the profession to an unheard of extent. Freeing the Caged Bird is a magnificent achievement. The tenets of fluid, efficient piano playing are clearly laid out and beautifully illustrated, most by student performers (aged 9 through adult). An aspiring pianist or a pianist plagued by unnecessary tension may well find the secret to virtuoso playing after watching this innovative film...[It] is destined to find a place in the library of every serious piano teacher and piano student. Pianists of all ages and levels are often frustrated and even tragically hindered by discomfort, pain, and injury related to piano playing. Widely misperceived as unavoidable occupational hazards, these problems often result from accumulated muscle tension, structural imbalance, skeletal misalignment, and misunderstanding of basic biomechanics. 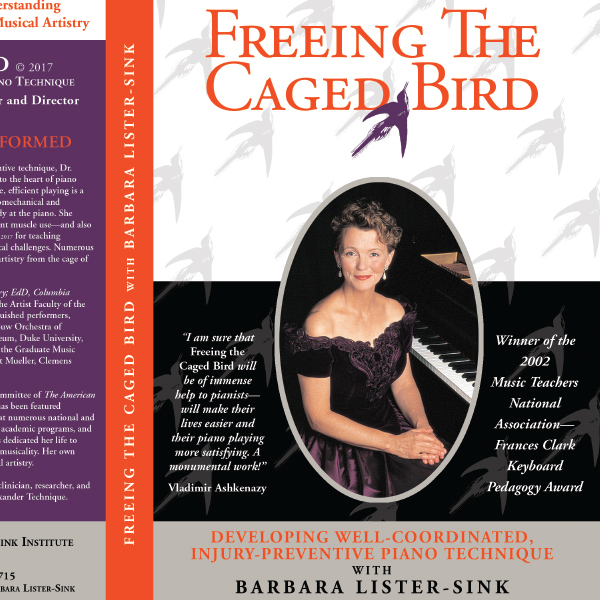 Rather than soaring freely, the pianist’s musicality is often a songbird caged inside the body. 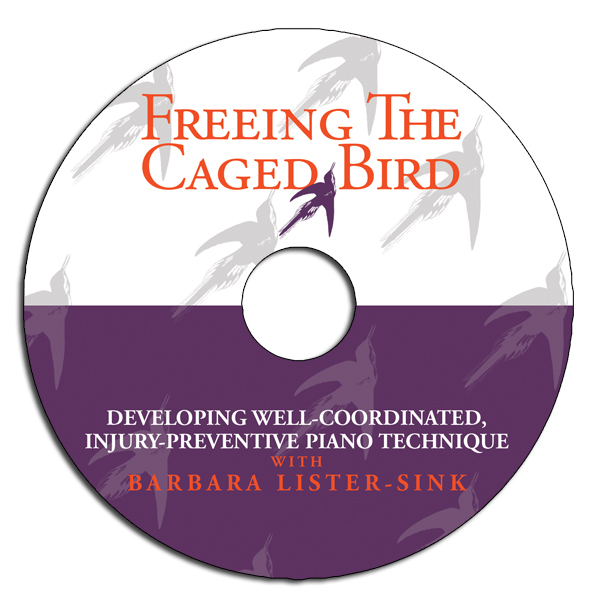 Barbara Lister-Sink, internationally recognized pioneer in teaching injury-preventive technique, draws inspiration from the superb technical example of such giants as Arthur Rubinstein, and offers a new look into the heart of piano technique, using a scientifically and pedagogically sound approach. Lister-Sink clearly defines piano technique as the most efficient, natural coordination of the whole body at the piano. 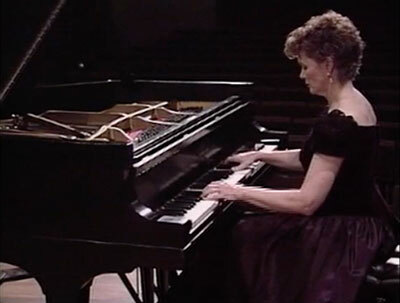 With noted anatomist and movement educator Glenna Batson, internationally recognized Alexander Technique instructor, she shows how the body is designed to work best with the piano. Lister-Sink then demonstrates, explains, and corrects potentially obstructive habits by using her own concise step-by-step-approach for teaching keyboard technique, from the most basic movements and sensations to the most complex technical challenges. Using in-depth, slow-motion analysis of playing on all levels, she demonstrates how well-coordinated piano technique frees the pianist’s artistry from the cage of physical obstacles. 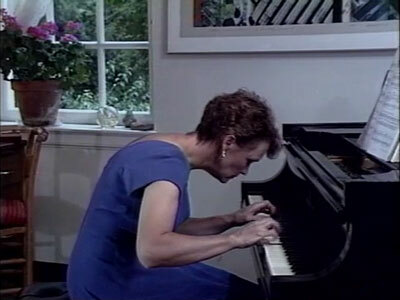 Many pianists have had to use the video’s contents instructionally in the absence of qualified instructors. However, good coordination at the piano ultimately requires hands-on instruction to learn its sensations–what we often cannot see–rather than movements we can see. In imitating a visual pattern without hands-on guidance, we risk misusing the body in yet another way. One can look beautifully coordinated while playing with unnecessary tension. The Basic StrokeTM may appear at first to be a stereotyped gesture. It serves more as what golfers call a “fundamental swing”–the foundational coordination upon which rests our entire approach to complex coordination. It is the “breathing mechanism” of the arm, and a particular approach to not accumulating arm tension. The initial steps outlined in the Basic StrokeTM are exercises to be mastered and integrated into the increasingly complex coordinations of playing. Certain movements may seem exaggerated in the early stages of training. Their training purpose is to trigger kinesthetic awareness and to develop muscle control and new patterns of coordination. Later, when applied to increasingly complex kinetic patterns in repertory, the movements and sensations become more complex and subtle. 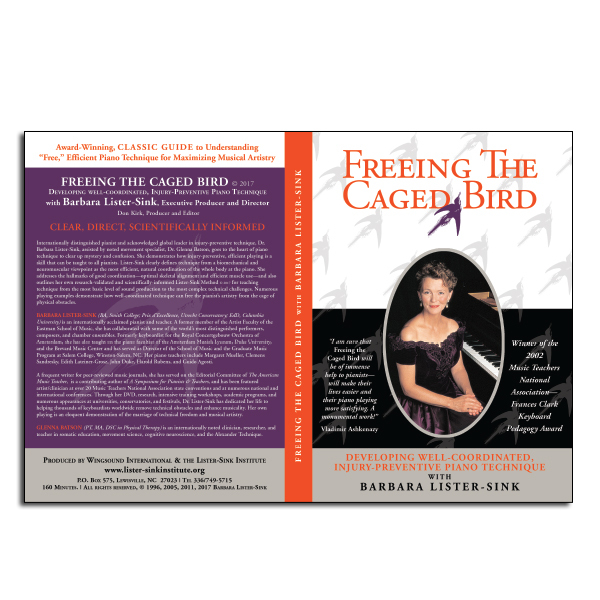 The Lister-Sink Institute extends gratitude to the many people who made Freeing The Caged Bird possible. Performers: Helane Anderson, Erin Britton, Jennifer Crowl, China Curtis, Jenna-Claire Kemper, Barbara Lister-Sink, Carmine Mann, Michael MacDonald, Christine Menedis, Chloe Plumb, Christa Ruiz, Evan Ruiz, Frances Ruiz, Bright Sink, Carol Soter, Gretchen Williams. Special Thanks: Bright Sink, Chloe Plumb, Tom Sink, Julianne Still Thrift, Salem College, Carol Barrett, Dr. Meribeth Bunch, Jim Gregory, Stephen Manes, Laverne McConnell, Amy Orser, Rockford Britt Penn, Michael Powers, Nola Reed Knouse, Joseph Rezits, Dr. Jaiyoung Ryu, Dr. Janice Safrit, Salem College School of Music, David Schildkret, David Shapiro, Susan Taylor, Burwell Ware, Vincent Whitt, Frances Vazquez, Students of Barbara Lister-Sink. Original VHS Cover Design: Michael Power, Long Haymes Car, Inc. 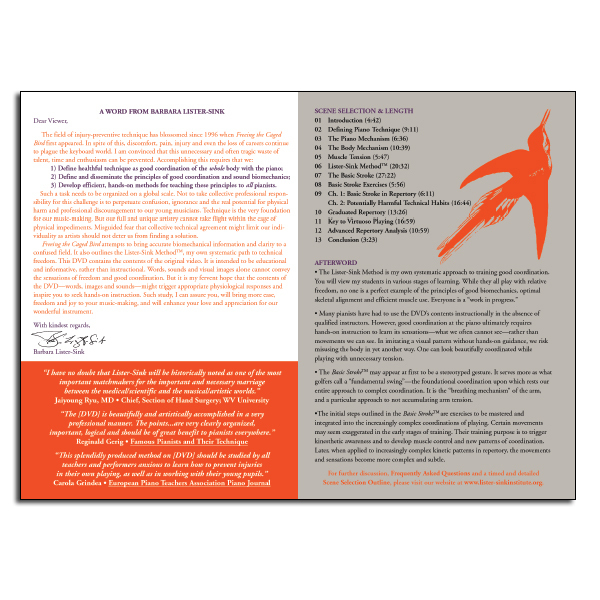 This project is supported in part by the Dr. Clifford and Elizabeth Guy Award of the Society of Arts and Medicine of the Winston-Salem Arts Council. Filmed on location at Salem College in Winston-Salem, North Carolina & Pfafftown, North Carolina. Dedicated with love to the memory of Annie Lee Fitzgerald Sink.